News organisations are increasingly embracing the use of analytics and metrics as part of editorial decision making, but what constitutes a sophisticated analytics strategy? And why are so many media organisations still using such a rudimentary approach to analytics? A new report by the Reuters Institute for the Study of Journalism looks at which organisations are building a competitive advantage over less advanced competitors through a better understanding of their audience, and what lessons others can take from their approaches. 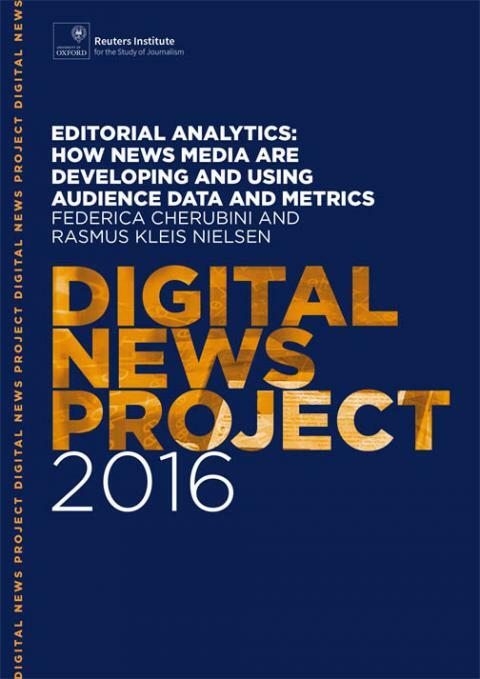 Based on over 30 interviews with senior figures involved in developing analytics in news organisations, the report, authored by Federica Cherubini and Rasmus Kleis Nielsen, examines analytics at leading organisations, provides a review of current trends – and looks at where others are falling behind. Explore the report on the Digital News Project website, alongside other reports, essays and material. Secrecy jurisdictions and journalistic investigations: How to make it part of the global discussion?